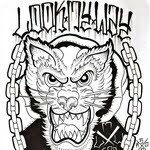 Look My Way streams new track! Look My Way has posted new track called "Backlash" which is taken from the band's upcoming album called "Mentality". The album will drop in April 2013 via joint forces of on BDHW Rec. and Save My Soul Rec! Check the new track here.